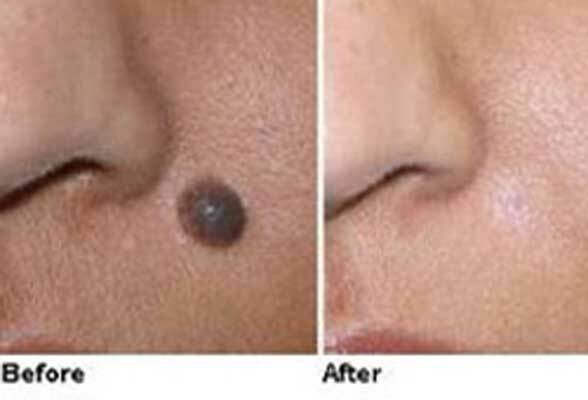 In this procedure, radio frequency waves are used to burn off unwanted tissue such as skin tags, moles, all types of warts, keratoses and other such growths. Radiosurgery is safe for children and can be used safely on the face and body. If the treatment is done on an exposed part of the body, then cover the treated area with a bandage when going outdoors. The treated area will appear red and swollen for 1-2 days; it will then scab and heal.